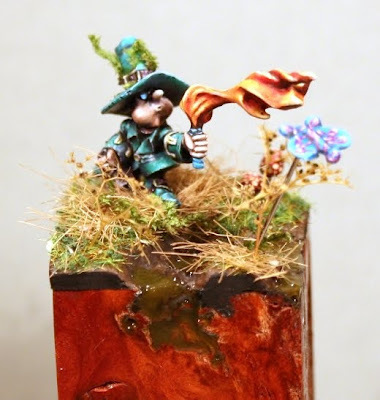 Here are the ready pictures of the miniature for Raffa, I tried some new things on the base. I wanted to get a wild-fantasy forest look. The plants on his head are his camouflage. I tried to make a detail shot of the butterfly, but I couldn't manage that it is really sharp..
Hello Honourguard, you did a fantastic job and I like the way you paint the figure, because it looks like out of a fairy tale. The eyeglasses and your butterfly are also great. 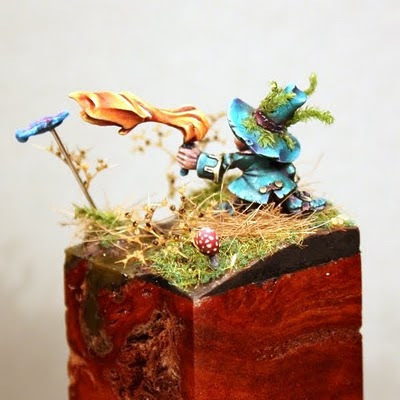 I know this very, very small miniature. Deine Mini ist so schön wie nur ein Traum sein kann. Ich bin mir sicher der Raffa wird von freue Schreien. This little fella really ROCKS! I love him and i hope i'll finish your mini soon! 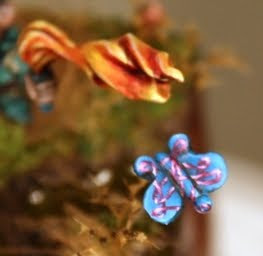 Very nice paintjob with extremely vibrant colors. Love it! I think this mini exchange is a really nice idea. Raffa is a lucky guy to get such a beautiful mini. 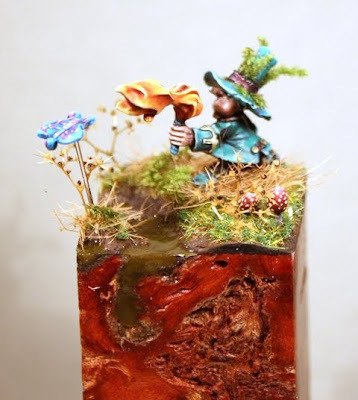 Absolutely stunning job on both the mini and the base, loving the rich, cool colourscheme! Great stong colours... i will try to use such bright colours soon on my own... really adorable miniature for an exchange... yeaha!